Hard cover A5 notebook available in a selection of bright, contemporary neon colours. Colour matched elastic ribbon, page marker and pen holder. 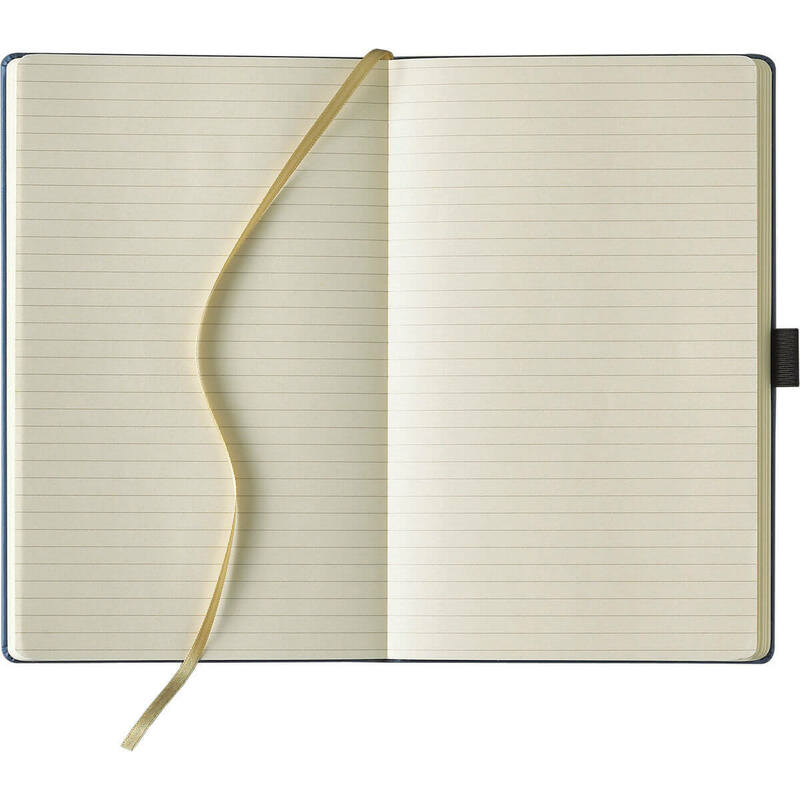 Flexible cover A5 notebook with the cover being finish with a stylish black border. Handy ribbon page marker and pen loop included. Pocket sized hardcover notebook with rounded corners. Contains 192 pages of lined ivory coloured paper. Complete with colour matched ribbon bookmark and elastic closure.